This was our lunch today. It was very tasty. 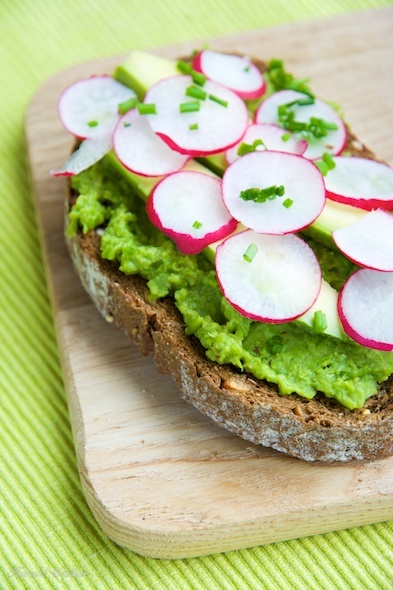 The pea spread is nice alone, but the avocado and radishes added another dimension that was really nice. he pea spread also makes a nice dip for vegetables or crackers. Posted by Chris Walker on June 7, 2013 in Avocado, Pea, Radish, Spreads and Dips.